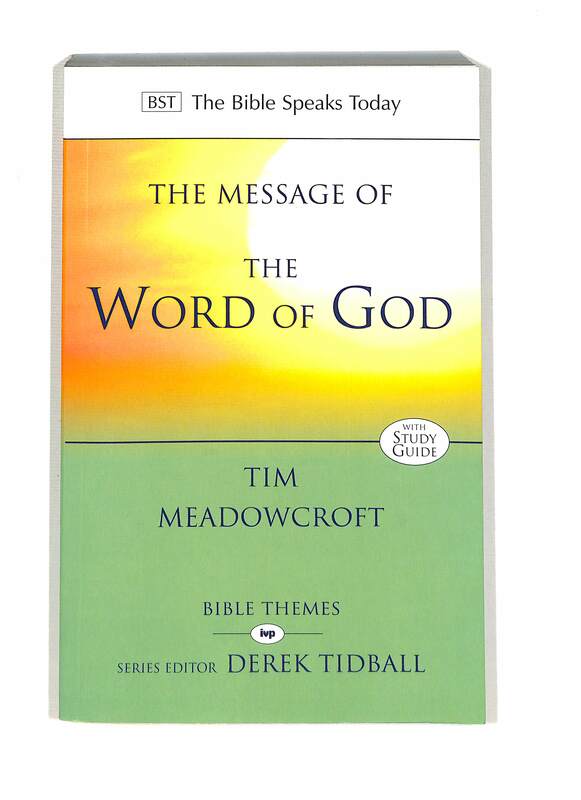 'Any coherent comment on what the Bible says about the Bible, the Christian Scriptures,' says Tim Meadowcroft, 'must address the wider notion that God speaks.' Accordingly, his fresh, wide-ranging exposition of 'the message of the word of God' is structured around four key propositions. The first is the extraordinary, fundamental reality that God speaks - and that when he speaks, he acts. This introduces us to the breadth of God's speaking, both in the text of Scripture and by means of the world that he has created. 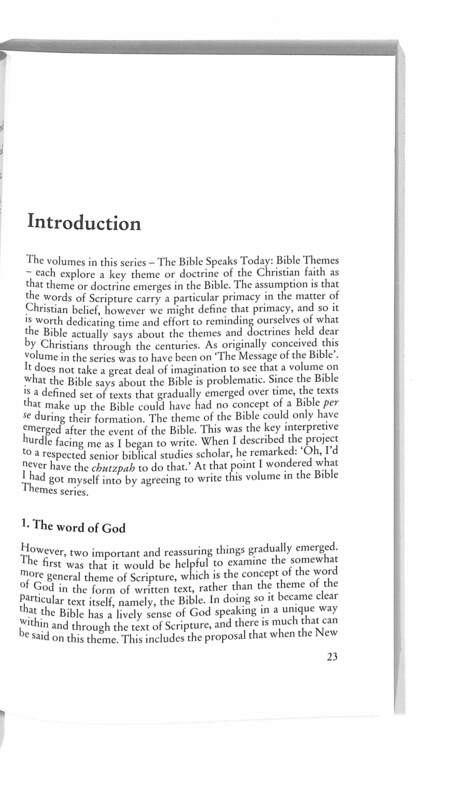 Secondly, God speaks in the written words of Scripture in a particular way: this is because the biblical texts are unique. Thirdly, God speaks in Christ: the word of God is finally and fully revealed and heard in the person of Jesus, the incarnate Word. From this it follows that the word of God in Scripture is a witness to the revelation of God in Jesus, that Jesus provides a model for interpretation of the Scriptures, and that the Scriptures are best understood and interpreted in the light of Christ. The fourth proposition is that God speaks today: his voice continues to be heard in the light of Christ and through the reading of Scripture. Throughout, Meadowcroft shows how God's speaking is concerned with his glory, and calls into being his people - who themselves are to live out and declare the word of God to others. 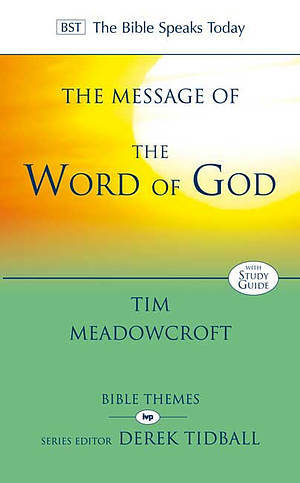 The Message of the Word of God by Tim Meadowcroft was published by IVP in October 2011 and is our 26117th best seller. 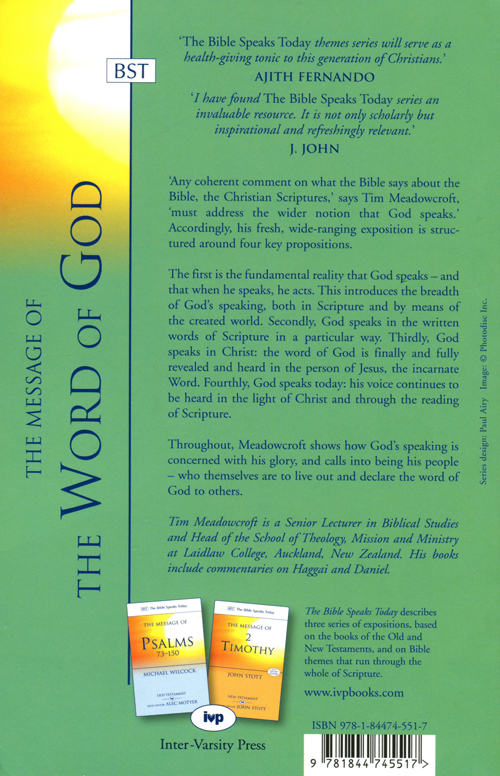 The ISBN for The Message of the Word of God is 9781844745517. Be the first to review The Message of the Word of God! Got a question? No problem! Just click here to ask us about The Message of the Word of God.